Fundraising leaflet design I worked on. When I was told my work experience would be at SPEAR I was unsure, sceptical and surprised. What would I be doing? Who would I be working with? Was it even proper work? Yet, the opportunity to learn new things in an environment I had never worked in before was enticing. 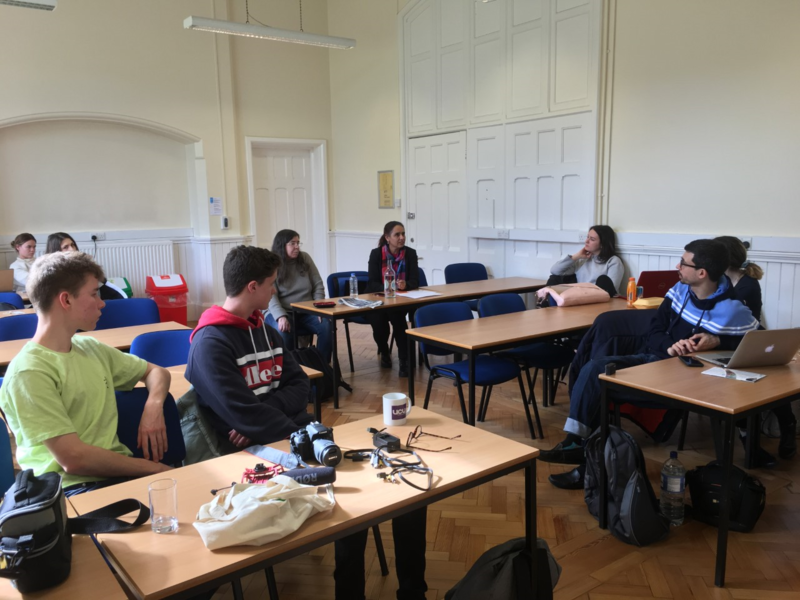 From the beginning, I dived into office life learning about health and safety and the basics of updating websites, designing posters and social media. 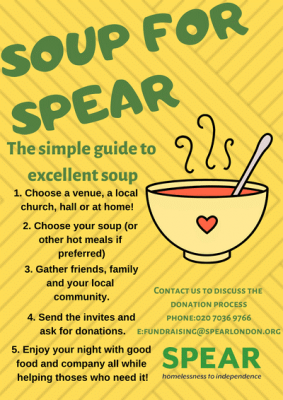 The work input into the operations of the charity fascinated me, and the dynamic roles of the people at SPEAR working to make a difference in the lives of the homeless is nothing short of inspiring. However, my mood quickly plummeted to rock bottom. Wet, shivering and regretful I stood outside Teddington station at 7 30am on Tuesday trying to collect donations from busy commuters. This is not what I had in mind for work experience! 2 Hours and £90 later, we finished, exhausted, freezing but pleased with the money raised. The rest of the week continued to provide interesting insights into the busy day to day work of SPEAR. In a presentation at St Mary’s Uni, I heard the first hand experiences of a client who had been helped out of homelessness whilst, the following day, we learnt about the structure and operations of SPEAR from Chief Executive Stuart Nevill. Overall, my experiences have been incredible. It has revealed a lot about the working environment in a charity and the amount of work input into improving the lives of those on the streets . I would like to thank everybody on the SPEAR team for making the week great and for working hard every day to help people in the community!